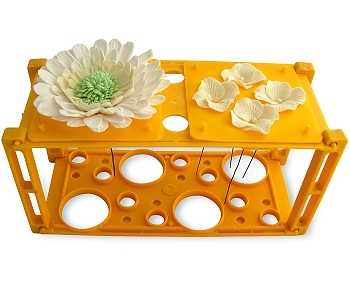 Handy Holder is an essential aid for supporting gum paste flowers during drying and finishing. 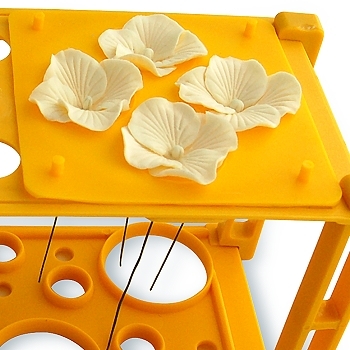 The 10 soft plastic flower formers, clip easily onto the stand and can be used either convex or concave. These varied flower former shapes help retain each flowers shape during drying and decorating. 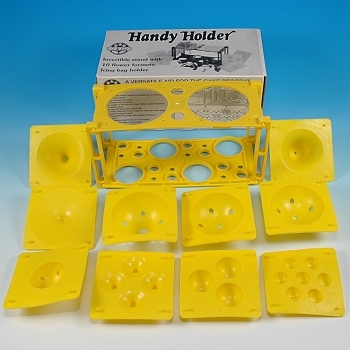 The other side of the Handy Holder is a pastry bag and nozzle holder. 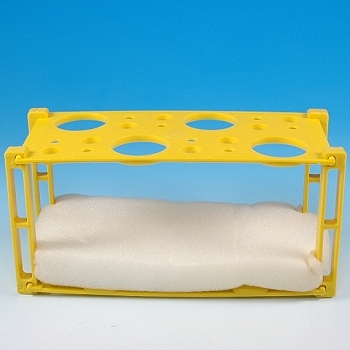 Its foam rubber base keeps nozzle tips moist and from drying-out.